CHA CHA COMES HOME TO JOIN BCA RADIO AS THE NEW 105.7 MAX FM AFTERNOON DRIVE HOST EFFECTIVE JUNE 3, 2016. San Diego, CA, June 2, 2016 – Broadcast Company of the Americas is excited to welcome Karen “Cha Cha” Harlow as the new Afternoon Drive Host for 105.7 MAX FM. Making TV news and creating a social media buzz, Cha Cha made her public plea for the job high atop a Scissors-Lift 30 feet above Clairemont Mesa Boulevard next to the giant 105.7 MAX FM billboard. 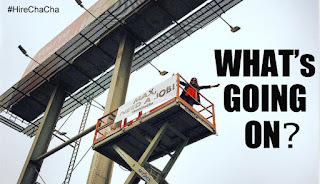 Based on this creativity and showmanship and a one day on-air audition Thursday afternoon, where she received a warm welcome home from San Diego listeners, Cha Cha was officially hired by MAX FM and begins her permanent shift immediately. The native San Diegan and SDSU graduate is no stranger to the San Diego Market as a former Morning and Afternoon talent on XHTZ-FM / Z90 for 12 years and Afternoon Drive Host on KHTS-FM / Channel 93.3 for another 10. Cha Cha has most recently been with CBS Radio as an Anchor, Host and Reporter for KNX1070 Newsradio. 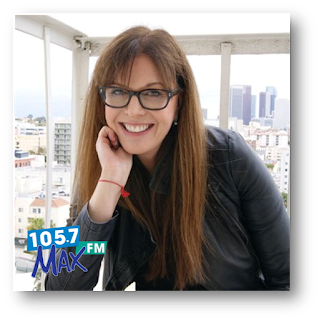 “Cha Cha dominated afternoon drive in San Diego during the 80s, 90s and all the way through 2006, and we’re excited to bring her back to play many of those same feel good songs on 105.7 MAX FM. Her energy, passion and audience engagement is amazing… Welcome Home Cha Cha!” adds Broadcast Company of the Americas Vice President of Programming & Operations, Mike Shepard. Broadcast Company of the Americas (BCA) operates The Mighty 1090 AM, (mighty1090.com) 105.7 MAX-FM, (1057max.com) and ESPN 1700 AM and holds the radio broadcast rights for the San Diego Padres, San Diego State Aztecs Football and Basketball and San Diego Gulls Hockey. Nathan Fast is a Dad!